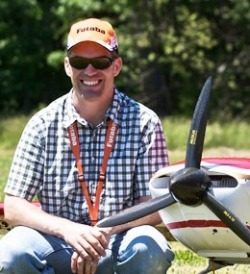 Radio Equipment : Futaba 14MZ, Futaba 9157 servos, FlightPower 3350 LIPO’s. Sponsors : Futaba, Hobbico, Desert Aircraft, Carden Aircraft, Cam McCausey Competition Aircraft, Fromeco Scale Avionics, Sure-Link Custom Control Systems, TME smoke systems. Sponsors : I would like to thank my sponsors JR, Horizon Hobby, 3W, Aircraft International, Power Box Systems, Extreme Flight RC, Higher Plane Productions, Fuchs Props, Jersey Modeler, Skyline Aviation, Stan’s Photos, Mercury Adhesives, and most of all our Lord Jesus Christ and all of my friends and family.